Throughout history, silver has had an unbeatable reputation as an ornamental metal. Used in coins and jewellery throughout the ages, silver has now evolved as a metal that enjoys great industrial demand. Silver has certain unique properties that make it a favourite for industrial usage. Across the electronic industry, computers, telecommunications and pharmaceuticals, silver evolved to take centre stage as an important element, widely used in modern innovations. remain the top two, followed by China, Chile and Russia. Silver is mined from silver mines, or manufactured as a by-product from lead and zinc mines. Silver is separated from the ores using a process of smelting and refining. The electronics industry demands the purest silver which has a fineness of 999.9. Unlike its ornamental history, silver isn’t used in industry simply because it’s rare and valuable. Silver has strong anti-corrosive properties and also resists oxidation. Although gold does this better, gold is also far more expensive to use. Currently, the spot price of gold to silver is 75:1. But when it comes to thermal and electrical conductivity, silver is the first choice for industrial applications. In fact, it is the best thermal and electrical conductor among all metals. Silver is also anti-microbial. When silver ions turn positive, it fights bacteria by binding with negative oxygen ions within the bacteria itself. It also changes colour when it comes in contact with toxic substances. These properties make it useful in the manufacture of medicinal, pharmaceutical and consumer products. Silver is a lustrous and reflective metal and this makes it perfect for use in jewellery, silverware and mirrors. It is both malleable and ductile. It can, therefore, be flattened into sheets, pulled and drawn into thin wire, making it ideal for industrial applications, particularly in the electronics industry. Photosensitivity is yet another property that silver enjoys and is used in films and photography. In fact, there’s little one can’t do with silver. It can be made into a powder, flaked, suspended as a colloid and used as a catalyst. Silver is also a metal that can easily be blended with other metals to form alloys. Of course, given its unparalleled conductivity, it is widely used in electronics. It is used as contacts in electrical switches. From automobiles to refrigerators, wherever contact switches are required, you can find silver. Conductive pastes are made using a silver-palladium alloy. These pastes have a wide range of uses in industry. An example is the thermal paste used on the heat-sink, which is attached to the CPUs of computers. The rear defrost function in many cars uses a silver paste. Huge technological innovations in recent years have given rise to the use of Nano silver. Nano silver has an extremely small particle size, and can, therefore, be used in the production of printed electronics such as printed circuit boards and electrodes used in a supercapacitor. Plasma televisions use a silver electrode that produces high-quality images, while LED (light emitting diodes) use electrodes to create energy efficient lighting for our homes. Solar panels use silver paste contacts which are printed on photovoltaic cells. When the energy from the sun hits the semi-conducting layers of these cells, power is produced. These cells then acquire and transmit the current with minimum loss. The use of silver in photovoltaic cells is rapidly increasing as the solar industry grows. Another method of generating power is to reflect the solar energy using silver. The reflected energy is captured by collectors that use salts to generate electricity. The use of silver is not limited to solar energy. Silver is widely used in control rods that are used to attract neutrons and slow down the rate of fission in a nuclear reactor. The rise of digital media has now slowed down the use of silver in the photography industry. Until recently, silver halide crystals played a key role in traditional film photography. Upon exposure to light, the crystals would record a change to create an image that could then be developed into a photograph. Although digital cameras have now taken over, this method is still used in traditional photography, as well as the field of medicine, where the technology is used to generate x-rays. An interesting fact is that the term ‘silver screen’ had nothing to do with filming. The screen on which movies were projected also used silver, hence the name. of silver, medicine has used silver for thousands of years. Before the age of antibiotics, silver foil would be wrapped around wounds to help patients heal. Colloidal silver still remains a cure to be taken internally, to fight illnesses. The use of the metal in eye drops and dental products remains prevalent as a popular method of prevention and cure of infection. The advent of superbugs like MRSA has created new demand for silver in hospitals. Silver is being widely used in the production of surgical equipment, wound dressings and even hospital surfaces in order to fight pathogens. Silver sulfadiazine is particularly useful in treating burn victims because it stimulates the growth of the skin while it kills bacteria. Silver ion is also used in the treatment of bone infections and regeneration of damaged tissue. In addition to the widespread use of silver across industries, silver remains a popular precious metal worthy of investment. 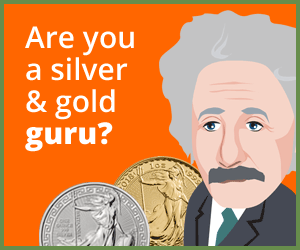 Silver is used universally in making coins and bars. Call us on 020 7060 9992 or drop us an email to find out how you can invest in this valuable metal. 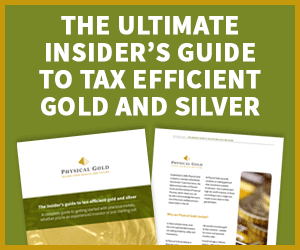 Our investment experts can talk to you about the best way to buy silver, inform you about silver prices and discuss the future of silver investment. Silver prices have remained steady through 2017 and the future is bright for this versatile and extremely useful commodity in 2018. This entry was posted in Blog and tagged Silver industrial uses. I read about Silver . I have good proposal for Silver . My son had applied for patients in India . I want who can start this new concept . At present nobody manufacture .